The firm of Mahoney Architects & Interiors is an award-winning group of talented architects and interiors professionals designing buildings of significance as well as remodeling projects throughout the San Francisco Bay Area. The firm is renowned for sustainable design. We invite you to explore the projects shown here and on our website. You will see that our work is done with imagination, innovation, and attention to detail. We are committed to establishing long lasting relationships with our clients. Together make dreams come true with creativity and with cost conscious planning. Colleen Mahoney is a co-author of Great Kitchens At Home with America's Top Chefs. Colleen is noted for her expertise in kitchen design. Our firm has been published in numerous magazines including Remodeling, Better Homes & Gardens, Residential Architect, Sunset books, The Practical Homeowner, Northern California Home & Garden, Professional Builder, and Commercial Renovation amongst others. 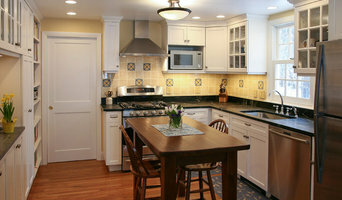 Home and Garden Television has featured Mahoney Architect's projects in their Before and After program. Mahoney Architect's distinguished work has been recognized with a history of awards which include the Bay Area Dream House sponsored by the SF Examiner and Channel 7 News, numerous National Association of Remodeling Industry (NARI) as well as Renaissance Awards, and local historic preservation awards. Danny Gallagher & Company is a Marin-based builder and full service construction firm with more than 35 years of experience in luxury home construction and renovation. We offer our clients old world craftsmanship, combined with state-of-the-art building technology. Our building expertise brings a positive and creative force in making informed decisions about phasing, constructability and value engineering. With the principle working directly on your project, DG&C provides a personal service unmatched by larger, crowded firms. Our level of craftsmanship and obvious pride we take in our work will far exceed your expectations. Our clients' satisfaction is at the heart of our business success. This has brought an impressive list of repeat clients. Referrals have fueled our company's success and accomplishments. 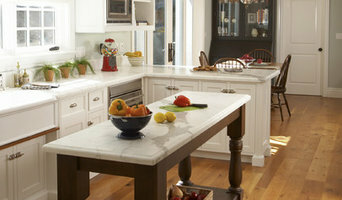 We would love to partner with you on your home remodel. Call us today! For every location, the design of each home originates from the vision of the client and the spirit of the surrounding site. Founded in 1990 by the principals, Ron Sutton AIA and Elizabeth Suzuki AIA, their recruiting efforts have resulted in a team of professionals who possess a wide range of experience consistent with our emphasis on quality design and service to our clients. A close client alliance coupled with the diverse experience of our associates,leads to an intense exchange of ideas, a meticulous search for solutions and an innovative approach to your design. Environmentally sound design has long been a hallmark of the firm, commencing with thoughtful site planning for natural ventilation and passive solar gain, and further incorporating sustainable features throughout the project. This experience enables the firm to provide clients with the very best in design and project management in many areas of the country – or world! 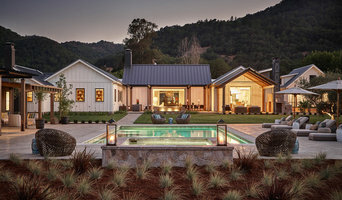 Locally, the firm has designed custom residences in Marin, Napa, and Mendocino, as well as Atherton and Carmel Valley. We have also completed projects on the islands of Kauai and Hawaii, and designed homes in Jackson, Wyoming and Incline Village. MOONEShome is a full service design firm located in Mill Valley - Marin County, California. The focus of our practice: the creation of smart and creative architectural solutions that enhance the lives of homeowners and general users. The focus of our service: comprehensive management of the often complex process of interior design and renovation, from program definition to construction close out and decoration. Yami Arvelo, founder and designer of MOONEShome, has a keen eye and over 20 years of experience in redesigning spaces, reinventing them and making them uniquely her own. She has staged, designed, remodeled and facilitated sales of numerous residential properties in the San Francisco Bay Area. With equal parts style and vision, Yami is an designer with a strong team of builder contractors, handymen and project managers. Joseph Farrell says, “While the core of my practice has always been residential projects, my body of work ranges from high-end custom homes to renovations of existing homes. The focus of my designs is the creation of artful homes that are energy-efficient and environmentally sensitive. All designs strive to integrate natural light, air, views, landscape, and community. Joseph Farrell’s goals have always been to create homes that improve the lives of their occupants and to do so in an environmentally conscious way. Much attention lately has been placed upon sustainable and efficient design, giving birth to the “Green” movement. Green buildings are designed, constructed and maintained to enhance the lives of their occupants and to create healthy communities by being energy efficient, improving indoor air quality and conserving natural resources Cost Details: Typical construction costs for residential projects in the greater SF Bay Area ranges from $300-$600/sq. ft. For high-end custom construction, the costs can be $800+/sq. ft. Typical Architectural Fees can be 3%-6% of construction costs. Architectural fees can vary: $4,000-$8,000 for small addition/remodel projects, $8,000-$18,000 for medium addition/remodel projects and $18,000-$40,000 for major addition/remodel/new home projects. Schneider Design Associates’ design sense stems from the belief that good architecture enriches its inhabitant’s lives on a daily basis. By listening carefully to our clients needs and desires we design homes in harmony with their lifestyle and taste. SDA fosters a collaborative design process that brings together the client’s vision and the influences of the specific building site to create a unique environment carefully tailored to its occupants and surroundings.High-end residential architecture firm striving to connect homeowners with spaces that perfectly fit their lifestyles and aesthetic. Thompson Studio Architects, located in San Rafael & The Sea Ranch, is a partnership led by Doug & David Thompson. The partners work closely with our clients, nurturing the design process, exploring new ways to live an&d work, while creating wonderful buildings. The studio environment establishes a collaborative approach to design. The exploration of a project becomes a journey of discovery from which the building evolves as an expression of the efforts & insights of the whole project team. Thompson Studio Architects believes that buildings are living entities where daily activity, seasonal change, & evolving uses coexist with the values & ideas held by the owner. Thompson Studio Architects aspires to build a legacy of exemplary projects and happy clients. The studio was established in 1987 as an outlet for the creative talents of the partners, brothers Doug & David Thompson. Working together for more than thirty years, the brothers provide design services ranging from custom home design & residential renovations to commercial projects while holding positions with two of San Francisco’s more prestigious architecture firms. Doug spent 9 years as a project architect & designer with William Turnbull Associates, and David was an associate & principal designer with House + House Architects for over 11 years. In 1994 the studio evolved into a full-service business with a more recent focus on custom residential, mixed-use commercial and commercial roll-out. Recently relocating the office from San Francisco to San Rafael & The Sea Ranch, the firm provides a full range of services that include: •Master planning •Feasibility studies •Site analysis •Building design & traditional full architectural services •Interior design, custom furniture, and lighting design •Specialty material & equipment procurement •Close-of-construction coordination •Post construction and user services Thompson Studio Architects finds that successful projects are derived from high-quality design, as well as from the knowledge and integration of the technical aspects of the project. Attending to these aspects of the work begins with the programming stage and is carried through to every detail. From inception, detailed, hands-on management determines the success of the project. Doug & David take on active management roles, utilizing highly refined management and quality control techniques. For over 30 years House + House Architects have crafted intimate, personal architecture. Through careful analysis, Steven and Cathi House mold each project into a unique, magical and harmonious environment. Deeply sensitive to elements of form, color, natural light, and movement, House + House creates a tangible spirit within each home, molded to the process of living. Committed to sustainability, their work focuses on enduring design principles incorporating natural light and ventilation, passive solar heating, grey/rain water systems, recycled materials, the development of microclimates and strong connections to the outdoors. House + House has produced a diverse body of work reflecting their passion for site specific, well choreographed buildings in California, Florida, Hawaii, Mexico and the Caribbean. In 1989 "Architecture" magazine featured House + House in their Discovery Issue on emerging talent. Since then, they have received over 50 design awards and their work has been featured in numerous national and international publications including two monographs, "House + House Architects: Choreographing Space" (1999) and "Houses in the Sun: light movement embrace" (2008). Steven and Cathi have lectured extensively throughout the United States and Mexico, and both have served on the Dean's Advisory Board and the Advisory Council for the School of Architecture + Design at Virginia Tech. They have established CASA, The Center for Architecture, Sustainability + Art, a study abroad program based in San Miguel de Allende, Mexico. For over 35 years they have traveled extensively throughout Europe, Asia, Africa and Latin America documenting vernacular architecture. Their stunning book, "Mediterranean Villages: An Architectural Journey", (2004), celebrates their investigations of villages throughout the Mediterranean - the hilltowns of central Italy, the Aegean Islands of Greece, the Dalmatian coast and the Andalusian region of southern Spain. Founded in 2009, the Bay Area office specializes in the design of signature residential and commercial properties. The office is known for its ability to transform unwelcoming spaces into spaces that are as stylish and comfortable as they are functional, exhibiting inventive solutions to everyday challenges. Christie Tyreus has over fifteen years of experience renovating challenging residential and commercial properties in California. Prior to starting her own practice, she worked for several award-winning architecture firms, including STUDIOS Architecture in San Francisco as well as Onion Flats in Philadelphia. Her design background is both traditional and avant-garde influenced, having received a Master’s degree in Architecture from UCLA and a B.S. in Architecture from The University of Virginia. She taught undergraduate architecture studios for several years and lectured on sustainable design and construction methodologies at Philadelphia University, and has published work in Architectural Record. 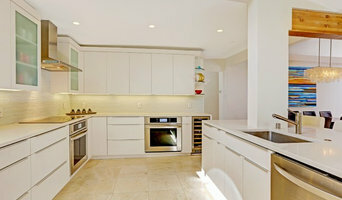 Marin County Full Service Design Studio, 2x Best of Houzz Winner!